Have a Ton of Orders and Little Time? Maybe you've just started taking cake orders. Maybe you just want to get everything baked ahead of time so you can rest for a while. Maybe you want to save time by baking "in bulk" and be able to pull out cakes, as needed, for decoration. Whatever the reason, it is absolutely possible to bake a ton of cakes and take steps to preserve them properly for future use. You may think that this will alter the taste of the cakes, but if you follow these simple instructions, you'll find that your cakes taste just as good, if not better, once they're thawed and decorated. 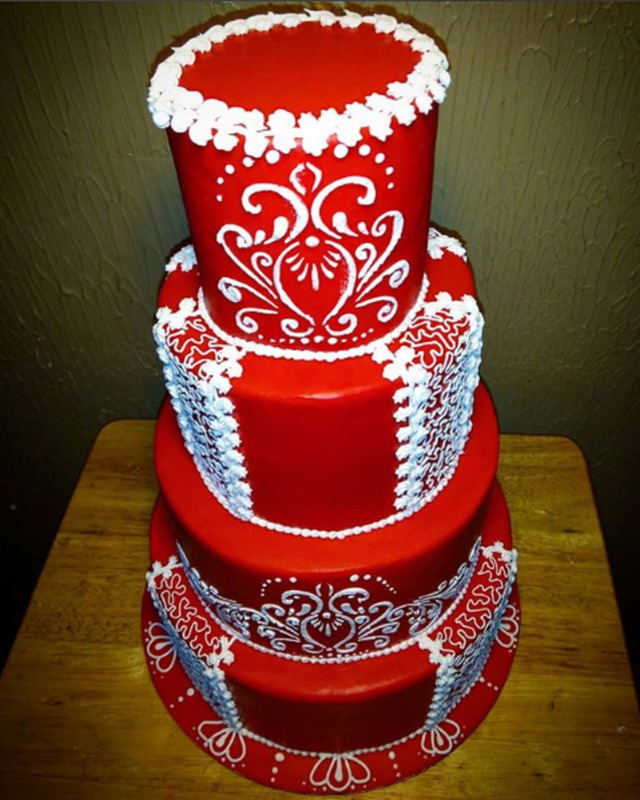 All tiers of this cake were previously frozen, thawed, and decorated on the day they were due. It tasted incredible, exactly as good as fresh cake. If you want to be sure the cake that you're going to thaw is going to be excellent when you're ready for it, you need to make sure that the recipe you're using is perfect from the get-go. Find the best recipe you have tried. 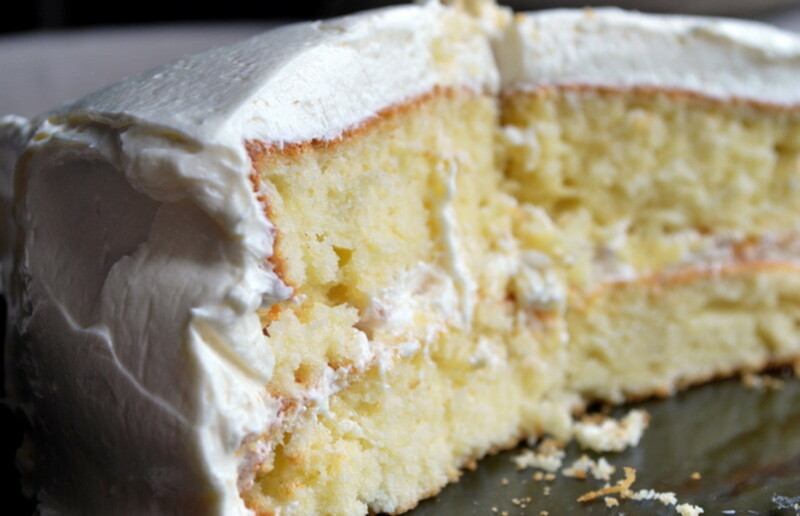 It needs to be everything you're looking for in a cake, but it especially needs to be moist. A dense recipe will freeze better than an airy one. 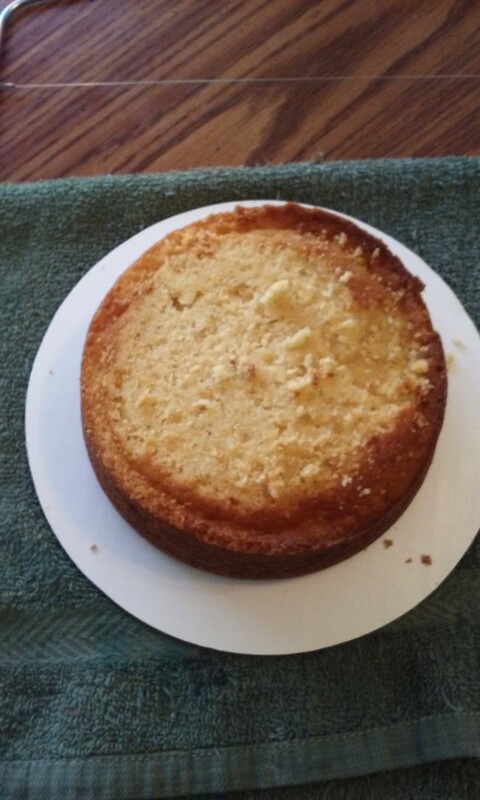 Whatever you do, do not add simple syrup to the cake before you freeze it. This will cause ice crystals to form and can allow freezer burn to set up. Then, when you open your cake, you'll see it's ruined and smells like freezer. That's not what we want to do here. 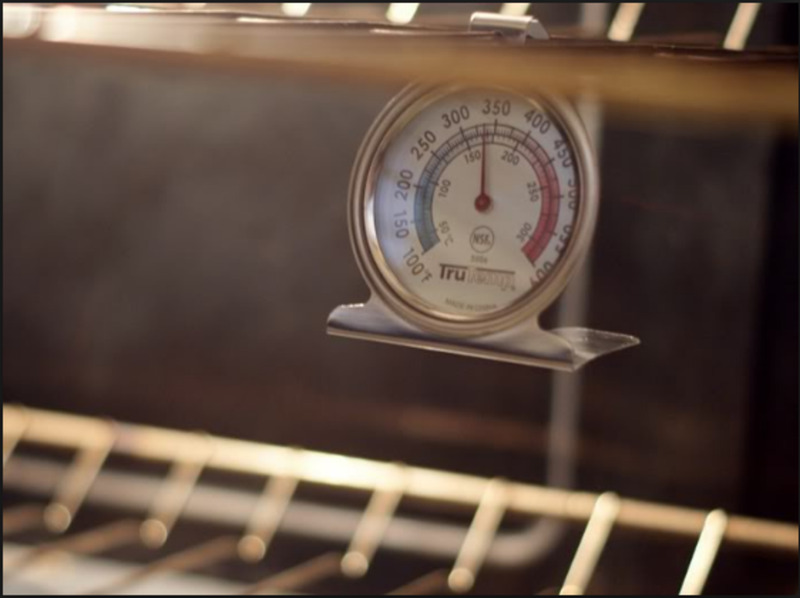 Once you decide on your perfect recipe, bake as many layers as you want to freeze. You're limited only by your freezer space. 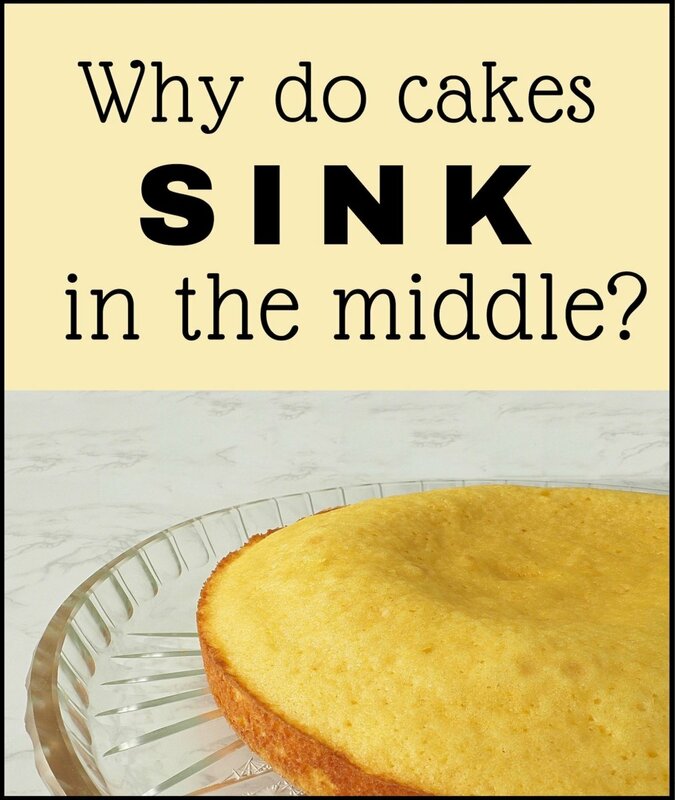 You could literally bake 200 layers of cake and store them in a deep freeze if you wanted to. It's all up to you. I tend to bake several layers in several sizes of several flavors. Does that make sense? What I'm saying is I'll bake 6 layers of an 8" white recipe, 6 layers of an 8" yellow recipe, 6 layers of an 8" chocolate recipe, 6 layers of an 8" marble recipe, and so on and so on with my most popular flavors. I'll also bake the same exact recipe in 6" pans. I tend to do a lot more of the 6" layers -- at least ten of each -- because the 6" layers are what I use for smash cakes. And I go through a ton of smash cakes. So, bake what you think you'll use most often in both recipes and sizes. 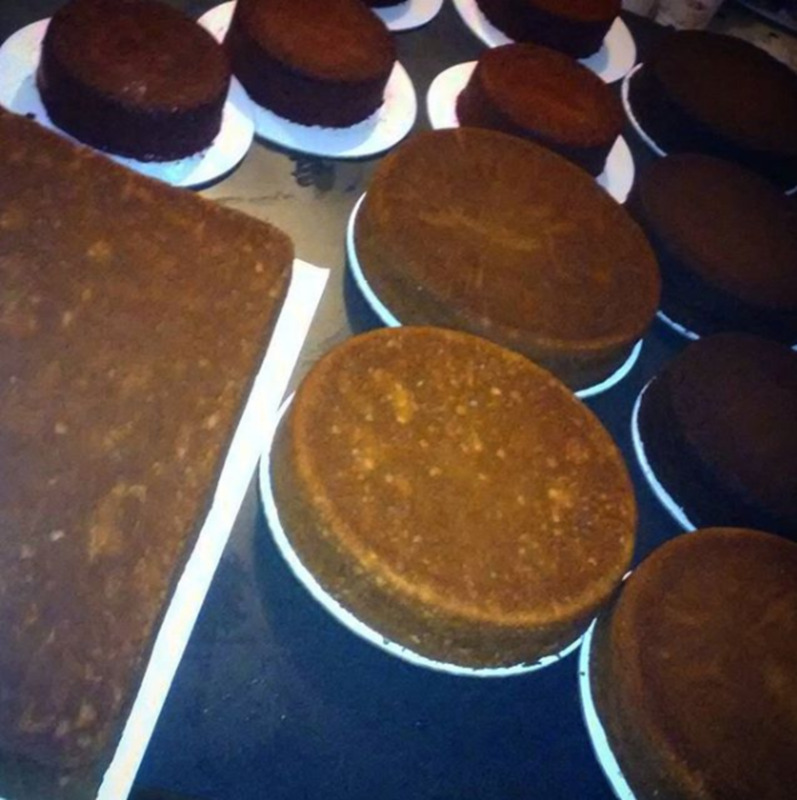 If you will be using more 9" or 10" cakes, bake those. You know what you're going to use more than I do. 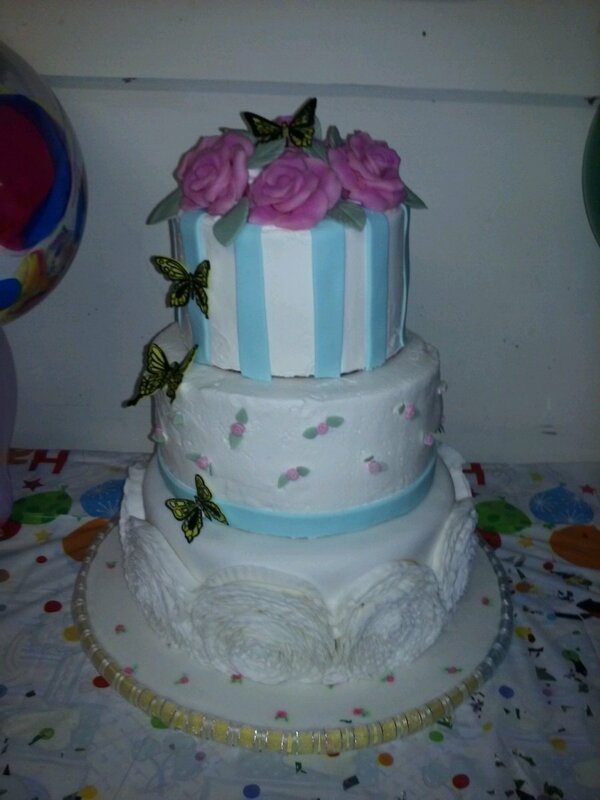 My most common orders are either a single 8" white with a white smash cake, or a two-tier (8" and 6") white. But I also use a ton of yellow, chocolate, and marble cakes. The most uncommon popular flavor I bake ahead of time is strawberry, because I make a killer recipe that I'll share with you later. This step is absolutely crucial to how your cakes will freeze and thaw. Allow all your cakes to cool completely on a baking rack (if you have one) or cake boards (if you don't have a baking rack, like me). 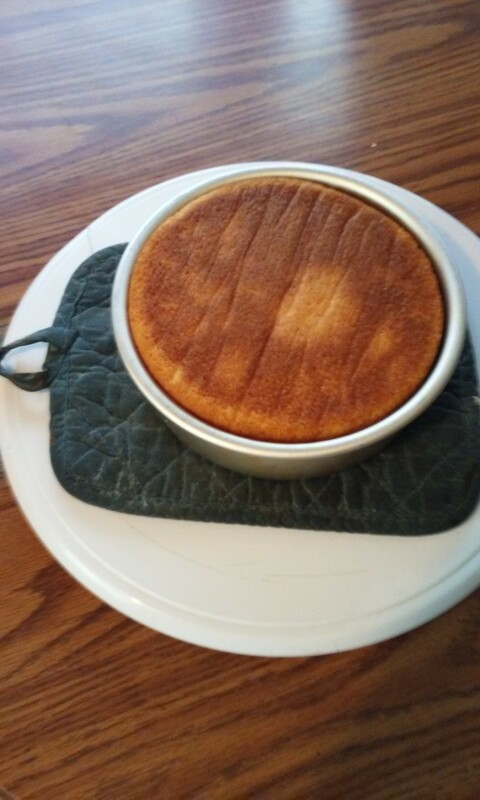 You don't want any residual heat left over in the cake. This will affect the way it freezes and sets up. Best practice is to allow the cakes to cool overnight at room temperature. Cover them loosely in plastic wrap or flip them upside down so the caramelized bottom is the exposed part and the leveled area is on the bottom. This creates a kind of seal to keep the moisture inside. I run out of counter space a lot of times. And that's all good. Once you know your cakes are completely cooled, it's time to get them ready for the freezer. If you are the baker who uses simple syrup, do not use it at this time. You'll want to wait until your cake thaws to add the simple syrup. 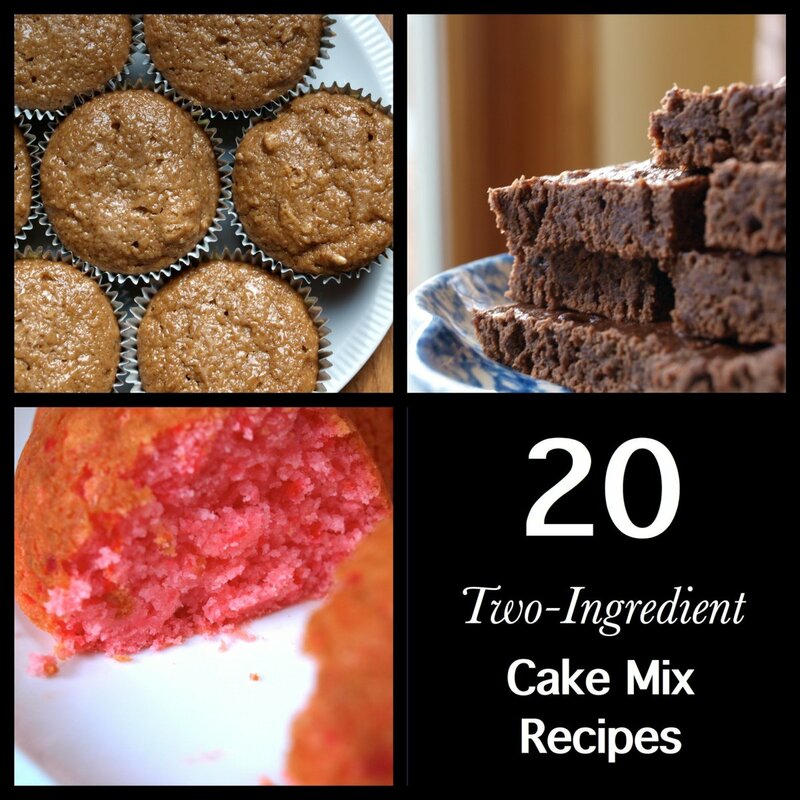 If you add it before you freeze, it will create ice crystals in the cake and can cause freezer burn. So just be patient. You'll need quite a bit of cling wrap for this. Grab one layer of cake, remove it from the cake board or baking rack, and wrap it tightly in a single layer of cling wrap. Make sure that it's very tight and sealed completely, all the way around the entire cake. Now wrap it a second time with cling wrap. Do it the same way you did it the first time, tightly and completely sealed. Wrap the cake in cling wrap twice. Seal it as best you can. Now that your cakes are tightly wrapped in plastic, you'll want to add one final layer of protection before storing them in the freezer. 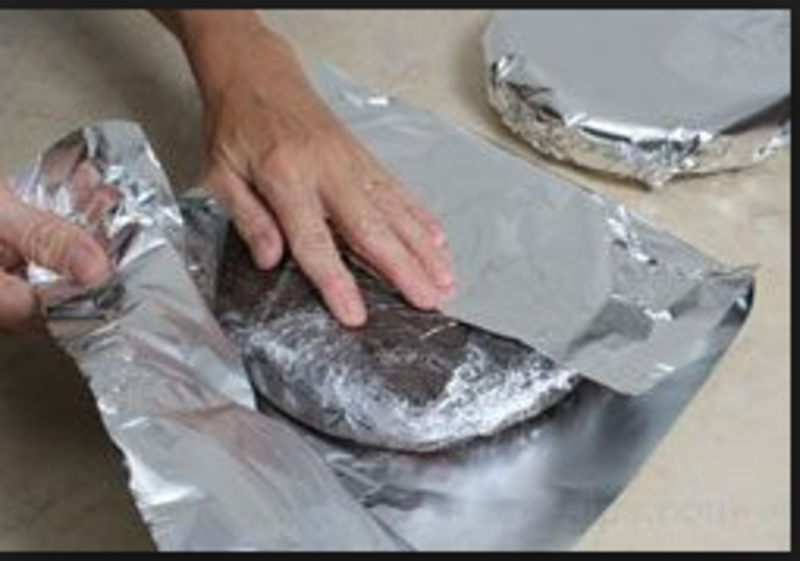 Simply wrap each cake in a layer of aluminum foil, making sure that it's sealed all the way around and there is no cake peeking through. Technically, you could skip this step if you wanted to, but I wouldn't recommend it. 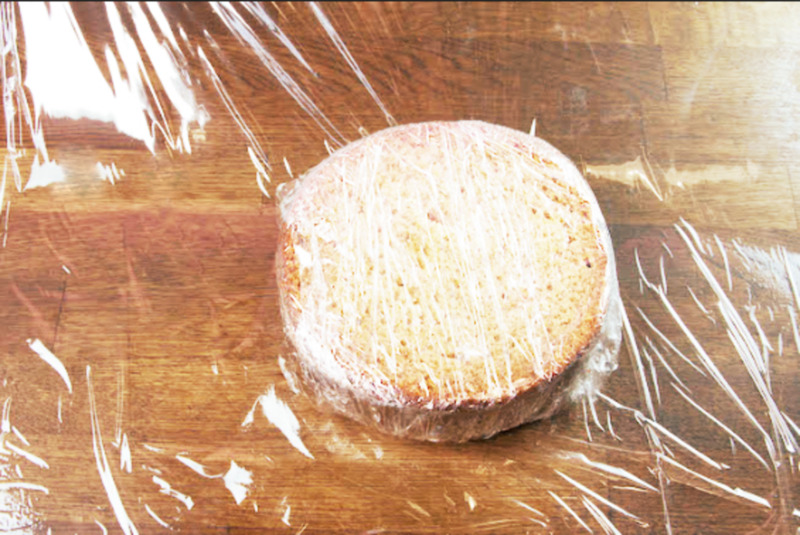 It's really easy for a cake that's only wrapped in cling wrap to become exposed to the cold air and completely ruin. Now that you have your cakes completely wrapped and safe from the harsh elements of the freezer, you can freeze them for up to six months at a time. I've never gone beyond a month, but I've been told that they are just as good for up to six months. When it comes time to thaw the cakes, you'll take them out of the freezer, remove the aluminum and the plastic wrap, and let them thaw at room temperature for an hour or two, depending on how big the cake is. Once they're thawed completely, you can add your simple syrup if you're so inclined and start decorating right away. You'll never know, and your clients will never know, that they weren't freshly baked. They will taste exactly the same and the texture will be identical to fresh-baked cakes. This is an enormous time saver, and it's so convenient to just pop a cake out of the freezer and have it ready to go. Frozen cakes come in handy for last-minute orders, as well!